The drone of aircraft heading into Shoreham Airport faded into the distance; we continued on our way west. We soon reached a small grassy patch of open space. It had outdoor exercise equipment; it had ice creams; and above all it had WC facilities – hooray! On leaving the facilities we went over to the exercise equipment. 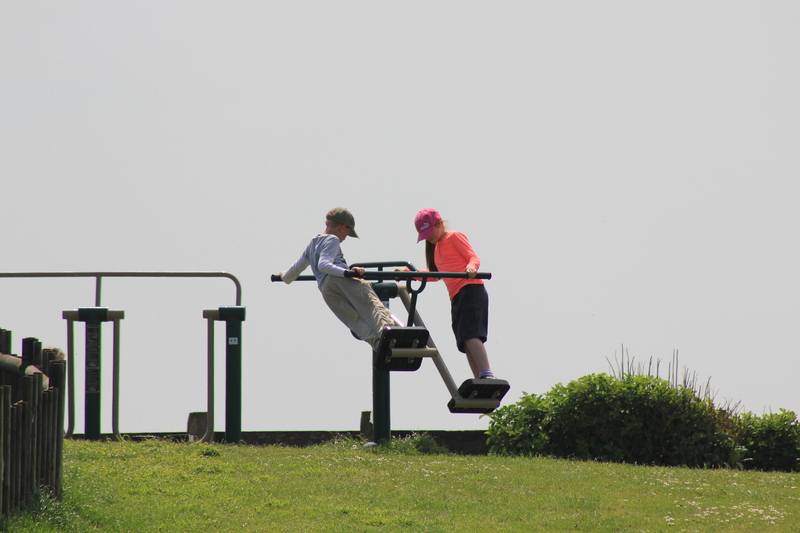 For some reason, walking around the entire coast of Britain is not enough for the kids – they leaped onto the air skier and then proceeded to try out each and every piece of apparatus in turn (later in the day they suddenly started complaining of fatigue – I wonder why?!?). A crow looked on lazily, more interested in the tiny fly buzzing around, just out of reach. It was trying to decide whether to lunge forward to snap it up as a quick protein snack – can you see it? Just beyond the exercise area we were officially welcomed to Lancing. 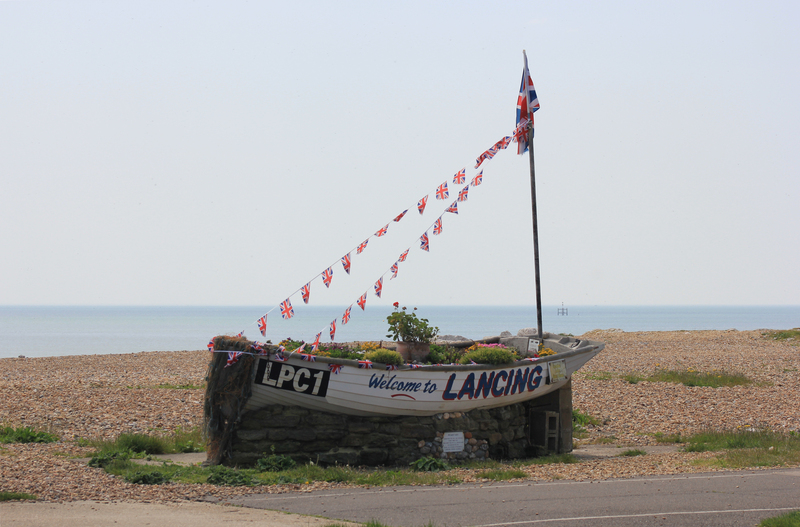 So much for Lancing; as pleasant as it was, there was not a huge amount going on. 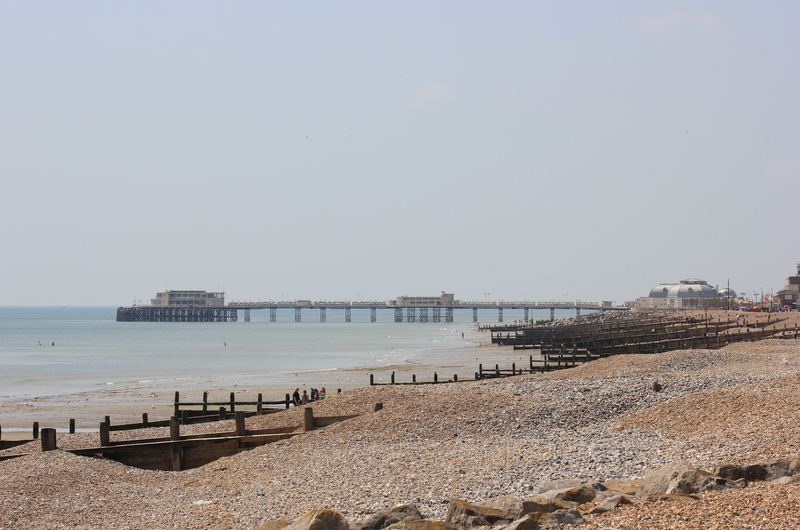 We headed off, towards the bustle of Worthing. 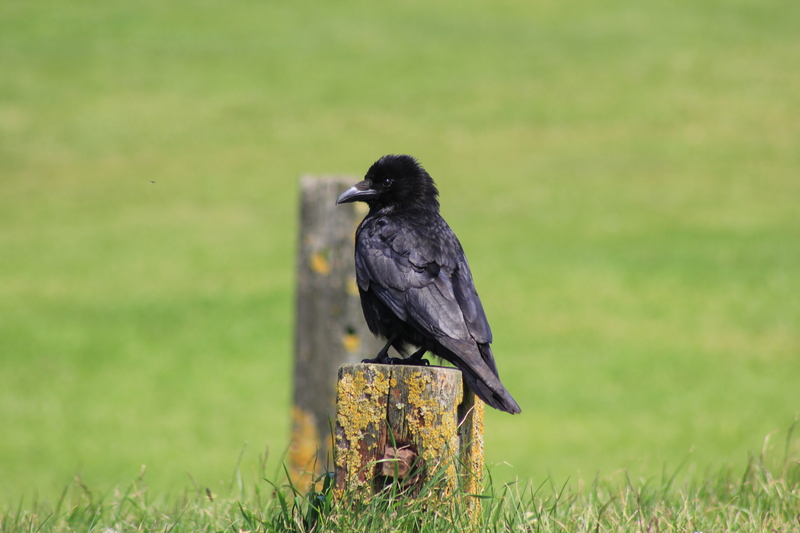 This entry was posted in West Sussex and tagged coast, crow, lancing, travel, walking, west sussex. Bookmark the permalink. That is a splendid crow photo. I like crows; they’re alarmingly intelligent birds.